Under federal laws, airlines are prohibited from forcing passengers to sit on a plane for more than three hours. 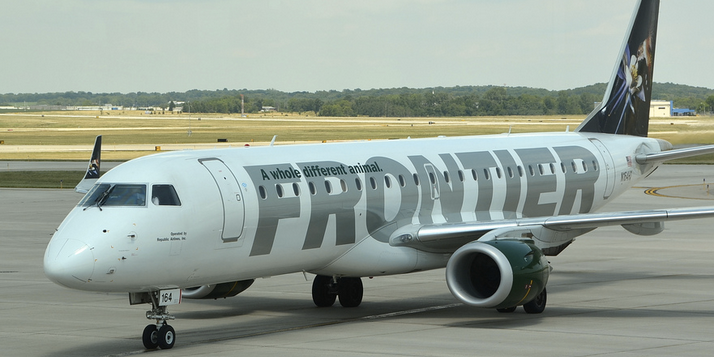 Frontier Airlines barely missed that deadline in Philadelphia this week, where passengers say they were stranded on a plane for just under three hours after enduring a series of delays. Passengers tell ABC6 News that they were kept on the flight for hours without heating or air conditioning before the airline eventually canceled the direct flight from Philadelphia to Tampa. Issues with the flight began with a delay because of weather, but ended with mechanical issues. Travelers tell ABC News that the pilot shut off the plane’s engines to conserve fuel while waiting for de-icing. But once that was done, he was unable to restart the aircraft. The issue prevented the plane’s heating and air conditioning systems from working, leaving travelers stuck on a plane with “no air, no circulation and a screaming baby,” one passenger said. Passengers say that while flight attendants walked down the aisle with the beverage cart, they were only offered water once during the ordeal and were instructed not to leave their seats to use the bathroom. The flight was eventually canceled and passengers were let off the plane around midnight, at which point they were offered a $200 hotel voucher for the night. “And they think giving me a $200 voucher will justify the situation, where that doesn’t help me at all, because their next flight is Thursday,” a stranded traveler tells ABC6. While the voucher may have been helpful for some passengers, they soon found out it was completely booked. The Philly Voice reports that Frontier eventually decided to offer affected passengers vouchers for future travel. An airline spokesperson says they will call each passenger individually with the offer, noting that the carrier did create an additional Tuesday flight to Tampa to accommodate passengers.